You know the devil is in the details. 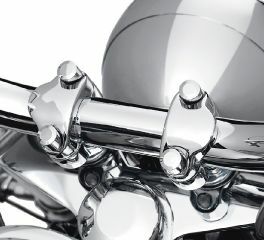 Whether your preference is chromed out or blacked out, Harley-Davidson has every type of motorcycle decorative hardware you need to make your bike your own. It's all in the details. 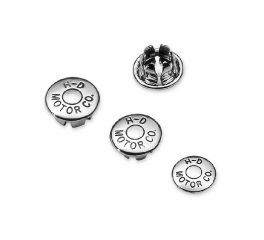 Finish the project with these chrome allen hole plugs with the H-D® Motor Co. graphic. The ideal choice for maximum versatility, this complete kit contains the docking hardware necessary to install all Detachable accessory options. Even if you only install a passenger backrest today, this kit allows you to add additional accessories as your touring demands change. Provides docking points to allow installation of Detachable Sissy Bar, Solo Luggage Rack, 2-Up Luggage Rack, Solo Tour-Pak® or 2-Up Tour-Pak® Rack. Update the custom look with Chrome Dome hardware. 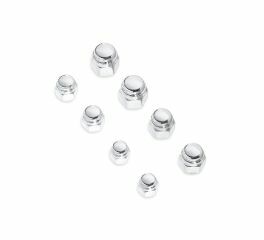 These uniquely styled hex nuts bring a new look to the traditional acorn shape, and feature a low-profile design and a smooth chrome finish. 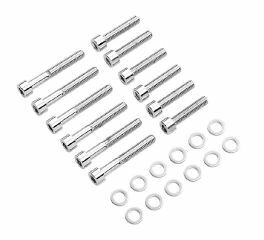 Kit includes chrome washers and smooth socket head metric screws made to Harley-Davidson specifications. 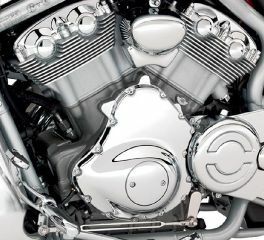 Kit includes the hardware required to replace the visible set of zinc-plated fasteners on the alternator cover, derby cover and front sprocket cover. Kit includes the hardware required to replace the visible set of zinc-plated fasteners on the clutch cover, secondary clutch actuator cover and water pump cover. Kit includes the hardware required to replace the visible set of zinc-plated fasteners on the cam cover. 1/4" Allen Hole Plug Kit (pack of 10). 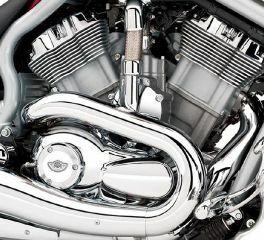 Complete the chrome hand control conversion. 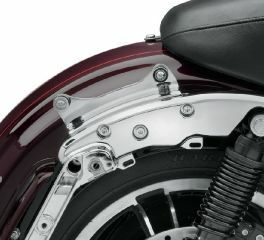 These thin-wall bolt covers are designed for easy installation over handlebar clamp bolts. 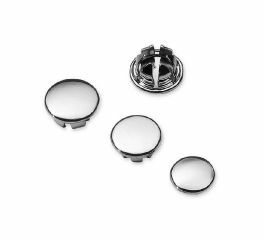 The machined brass and chrome-plated covers are corrosion resistant and the internal spring steel retention clip resists vibration and thermal cycling to securely hold the covers in place. Update the custom look with Chrome Dome hardware. 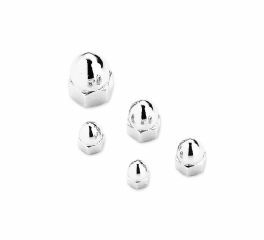 These uniquely styled hex nuts bring a new look to the traditional acorn shape, and feature a low profile design and a smooth chrome finish. It's all in the details. 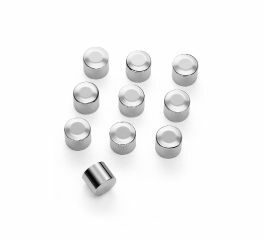 Finish the project with these chrome allen hole plugs with the H-D® Motor Co. graphic sold in packages of 10. 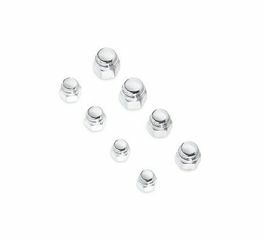 3/8" Allen Hole Plug Kit (pack of 10). 5/16" Allen Hole Plug Kit (pack of 10). Update the custom look with chrome acorn hardware.